I want to post a old video of MBC Section after Etude CF shooting . 2009 - LMH with KHS in BOF : Dating rumour... lots of sweet moments in BTS... and until now fans still hope for MinSun to date in real life..
Hi everyone. This is the first time that I posted on a shipper's forum. I have been following PSH since I accidentally discovered her on YouTube way back 2008. I have since then been trailing her activities. She is the whole package for me and more. Besides, her talent and what not she is well-grounded and I'm pretty sure a philanthropist at her own right. Thereby, gaining my respect and love all these years. With that being said, I must admit this is an impulsive thing for me - looking up an actor's profile in details besides PSH. I have found out on Wiki that they have both been active since 2003 but in PSH's fan meet LMH mentioned that it has only been 8 years for him. I guess, he did not considered starting his career on the small roles given to him until 2006 when he had secondary roles (i presume) on TV. Nonetheless, it is still written that they are both active on the same year. One thing that caught me eye as well, was that they had older siblings - an older brother for PSH and and older sister for LMH. I've read for both that they are very filial. Oh, and they both have Kim Bum as their friend - a best bud for LMH and a school pal for PSH. Ain't that quite a coincidence. They both became popular after their drama serial in 2009 - You're Beautiful and BOF respectively. I did read once before that Geum Jan Di role was offered to PSH but she opted the former. However, they got together in Etude House for a CF in 2009/2010. They have both been busy since then and have had numerous drama serials on their sleeves that created more ripples to the Hallyu wave. Finally, after all these years they have been tapped for Heirs and I believe will even make them both popular in Korea and the world. But what really piqued my curiosity is that PSH is very comfortable with him. It was easier for her to lock arms/fingers with him and even took the initiative of putting her arms on his waist. That has never happened before on public on any press conferences that she had! I've noticed too that they have been friendlier after the US trip - I guess because there is less fear for stalker fans and not too many people are aware of their popularity here. For me, the press conference made me like LMH more because of this unusual acts of PSH. That sealed the deal for me. If you've seen their interview on SBS Night of TV entertainment when Kim Sung-Ryoung asked her of her marriage plans and she mentioned that she wanted earlier on to get married at 23 but she is past that age and would love to settle down at 30, the look the LMH gave her was really quite a sight. It's like he is aware of a great secret. To add to that the recent BTS they had on stills when she was holding a camera - that look he gave her was something as well. There is not much videos of the two - I quite don't understand why when SBS dramas this year has been very generous on the main leads. Has there been a gag order requested by the two? I hope not. It would be interesting for sure to watch their relationship off screen. I cannot really speculate what these two have but I enjoy watching them on screen. I just hope that we'd get more of their interactions off screen. I hope that they nurture what they have friendship or what not. It would be nice as well if they'd have CFs/print ads together once the drama ends. Until then. Let us look lovingly on these couple and wish them happiness - it is well much deserved for them. Hi everyone I'm new here.I really like chemistry between these two and I would love to see them as a couple BUT this hands holding part from press conference I feel like it was done in purpose to make fans like the drama. I mean when we see that main leads are close to each other, very friendly. We have more interest in drama. Anyway its just my opinion and as I said earlier I would love to see them together. Hi everyone. This is the first time that I posted on a shipper's forum. 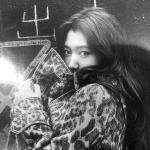 I have been following PSH since I accidentally discovered her on YouTube way back 2008. I have since then been trailing her activities. She is the whole package for me and more. Besides, her talent and what not she is well-grounded and I'm pretty sure a philanthropist at her own right. Thereby, gaining my respect and love all these years. One thing that caught me eye as well, was that they had older siblings - an older brother for PSH and and older sister for LMH. I've read for both that they are very filial. Oh, and they both have Kim Bum as their friend - a best bud for LMH and a school pal for PSH. Ain't that quite a coincidence. For me, the press conference made me like LMH more because of this unusual acts of PSH. That sealed the deal for me. If you've seen their interview on SBS Night of TV entertainment when Kim Sung-Ryoung asked her of her marriage plans and she mentioned that she wanted earlier on to get married at 23 but she is past that age and would love to settle down at 30, the look the LMH gave her was really quite a sight. It's like he is aware of a great secret. To add to that the recent BTS they had on stills when she was holding a camera - that look he gave her was something as well. There is not much videos of the two - I quite don't understand why when SBS dramas this year has been very generous on the main leads. Has there been a gag order requested by the two? I hope not. It would be interesting for sure to watch their relationship off screen. I cannot really speculate what these two have but I enjoy watching them on screen. I just hope that we'd get more of their interactions off screen. I hope that they nurture what they have friendship or what not. It would be nice as well if they'd have CFs/print ads together once the drama ends. Until then. Let us look lovingly on these couple and wish them happiness - it is well much deserved for them. http://www.youtube.com/watch?v=e1aInmIcs4cI love this bts. PSH is so cute and adorable when she's laughing. I love how she's laughing at everything LMH says. Not sure what their talking about.But look at those smiles. so cute. And Kim Ji Won and KMH looks so confused or lost lol. Their probably wondering like, "what is so funny?" It's like their in their own little world aw. I think at the very least, PSH + LMH are good friends especially since PSH seems like such a kind, genuine person. I just find it so interesting that there are no dating rumors of these 2 especially when Heirs is such a star studded cast...yet no rumors of dating between anyone, not even to generate buzz for the show. The BTS aren't lovey dovey to encourage viewers to daydream. It's just so weird...like something else is going on. A buzz will be create when plenty swoonworthy bts was release. But so far sbs quite cheap releasing it. Unlike during master sun, they really generous. For the heirs their just overly pour fans with stills pics. Its not enough to generate the buzz. Even to couple like Bo Na and Chan Young didnt get the previledge. Its either two reason. There is nothing to share or too much to share till they decide to hide it. giselle_tw said: A buzz will be create when plenty swoonworthy bts was release. But so far sbs quite cheap releasing it. Unlike during master sun, they really generous. For the heirs their just overly pour fans with stills pics. Its not enough to generate the buzz. Even to couple like Bo Na and Chan Young didnt get the previledge. Its either two reason. There is nothing to share or too much to share till they decide to hide it. @precious_angle "what really piqued my curiosity is that PSH is very comfortable with him. It was easier for her to lock arms/fingers with him and even took the initiative of putting her arms on his waist." -------------> Exactly!!! I'm happy that SBS has finally showed a few more BTS videos but still it has always been with the group. Nevertheless, we see that both PSH and LMH are immersed in their own little world that one might wonder what's so funny about the blood type convo. I hope before the drama ends they would at least allow us a glimpse of the more intimate/kiss scenes they had - maybe then we'd find out how comfortable they would be even in the most awkward situation. I am so looking forward for tomorrow's episode. Counting the hours on my end. Wednesday please come sooner. t r a n said: Are they filming live at the moment right? Too much pressure, no time for BTS? Only 8 more episodes left. The dream will end and they will go their own way. Can't help but feeling sad already. Thanks @alesia44 those gifs make me happy watching. By chance you have one when they were being interviewed for Etude, where Shinhye has short hair? After many years no contact and yet their reactions same like before, comfortable.